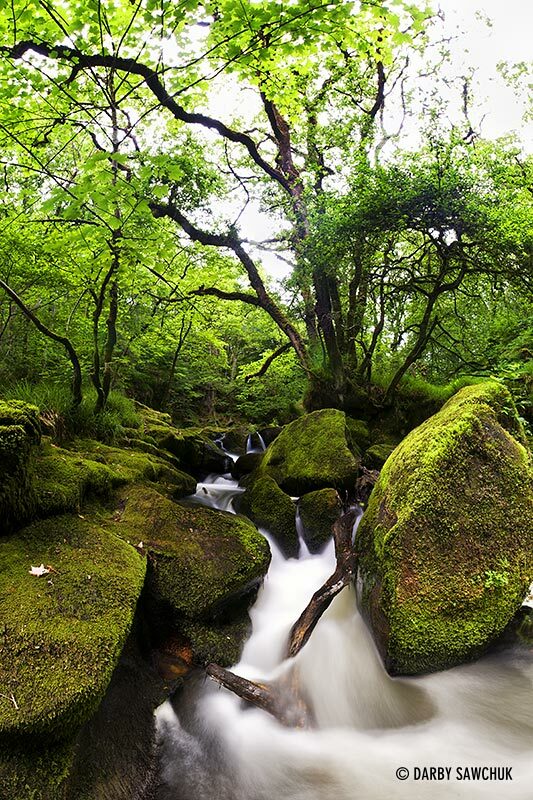 Today’s image is another from Cornwall, specifically, a perfect spot called Golitha Falls. As tranquil as could be, this perfect forest full of gnarled, moss-covered trees at the edge of Bodmin Moor is home to a babbling stretch of the river Fowey. It’s a short walk, but every view along the way is picture perfect. This shot, though it may not look it, is actually a panoramic stitch of about 15 images. I actually expected it to come out more horizontal than vertical, but this crop worked best of all. The scene really did sweep around me, but the resulting panorama doesn’t necessarily capture that. That’s not to say I’m unhappy with the shot. Far from it! To get it, I did have to perch somewhat precariously on the edge of a rock, but the risk proved worthwhile. Overcast days are good for shots like these. With less light on the scene, it’s easier to get a longer shutter speed to blur the motion of the water and you also avoid any nasty hot spots on the ground. The Sacramento Bee has a nice gallery of frosty winter scenics here. The Big Picture comes through with a couple more winners. First, there is this series of winter images that features photos from the Harbin International Ice and Snow Festival in Harbin, China. The Harbin festival seems to be the bigger, more gaudy brother to Japan’s Sapporo Snow Festival. I’m sure both of these would be great fun. And again from the Big Picture: More of London from Above. Great aerial photography by Jason Hawkes.